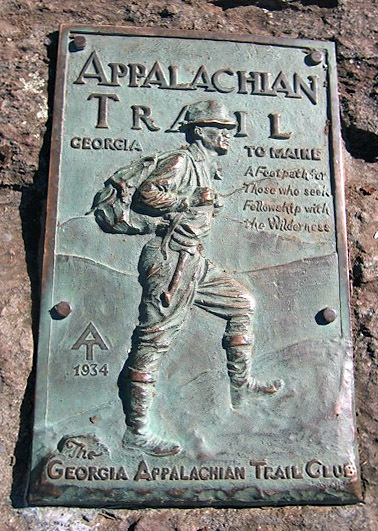 The biggest majority of AT hikers trek northbound (Nobo), leaving Springer Mountain in Georgia between 15 March and 15 April every year. As many as 60 hikers head out on peak days during this time period. This evolves into a moving, “linear community” that many cherish (and others wish to avoid). Their goal is to make it to Maine before Baxter State Park closes for the season - around 15 October. Another consideration is that hostels, and some of the AMC huts in the White Mountains begin to close in late September. With the average thru-hiker taking between 5 ½ - 6 ½ months, this leaves little room for slacking off. Nobos walk with Spring, and see the forest waking up for an extended period of time before the dog days of summer set in. Southbound hikers (SOBOs) cannot start till the trails in Baxter reopen. This is typically late May to early June. At this point in time, trails are muddy, black flies are in a feeding frenzy, and rivers are running high making the many crossings more difficult. For this reason, many delay a sobo thru till July. However, every day they delay their start, is a day deeper into winter they’ll finish. Leaving in July pretty much assures one is on the trail for Thanksgiving and possibly Christmas. There are far fewer Sobos every year. They tackle some of the trail’s toughest challenges within their first few weeks, and they enjoy much more solitude (and less of a support system). Many hostels in the south close after the northbound bubble passes. There are many other ways to hike the trail - Flip Flops, Head Starts, Leapfrogs, and the Cool Breeze are all ways to hike the trail in non-linear ways. But we're stodgy old traditionalists, and intend to hike every white blaze in a straightforward, linear manner. We decided to hike northbound in order to hike with spring, and to get back home in time to deal with fall yard cleanup before the snows fall. So, our next decision is to pick a day. There is no early limit on when one can start a nobo hike, and a few hearty souls start as early as January and February. But, the earlier one starts, the more severe the weather. There’s snow in the southern Appalachian Mountains in March, and it’s often deep. Many have lost any time they gained from an early start, along with a lot of money, by sitting in motels waiting for snow storms to pass. And it gets cold enough at 4000’ to require winter weight sleeping bags and pads. Leaving towards the end of March limits exposure to extreme weather. The hordes leaving during this period impact shelter areas, and can feel like a band of gypsies. Waiting till after April 15 allows for better weather, and lighter crowds, but leaves no cushion for summiting Mt Katahdin before Baxter closes. That period bewtween 15 March and 1 April seems like the sweet spot. Depending on how one decides to travel to Springer, transportation costs can be much higher on weekends than on weekdays. The Spring Equinox is around 20 March - Which is historically one of the busiest days on Springer. If we hike the approach trail on the 19th, we’ll depart Springer Mountain on the equinox (because that's cool), and we’ll have bragging rights that we hiked all four seasons. 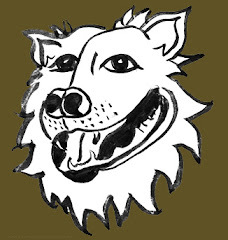 Statistically it's a peak day, so we'll likely be in a big pack. We could even check out the festival if we’re so inclined. (We're not). If we travel by rail or train, Sunday can be a cheap travel day. So that’s the plan. 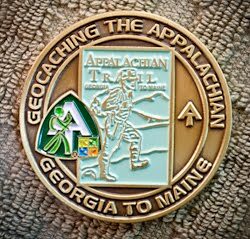 We'll get to Georgia by the 18th, spend the night at the Hiker Hostel, and be at the approach trail on the 19th. The Milestone Dates page, (see link in right column), has our rough itinerary based on this start date, and on average hiking rates through the various segments. Next decision point? How do we get there? Thanks Sheila. This has been incubating for a long time, and we decided that the time is right.